Realizing what occupation one might have for an entire career is not something most high school students know, but Sierra Newsome, a junior at George Rogers Clark High School in Winchester, Kentucky, is not one of them. She has already started thinking about her future and how she wants to achieve her dream job. Newsome began her “career” in the equine industry at a very young age as a rider at a training facility near her home. Having ridden and worked with horses most of her life, becoming a vet seemed very natural to her. 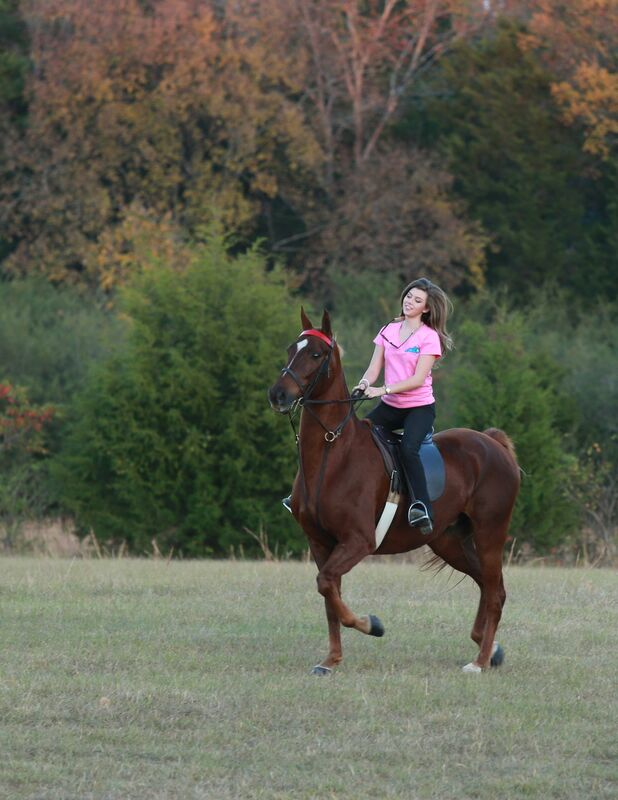 Future equine vet Sierra Newsome takes her horse on a trail ride. 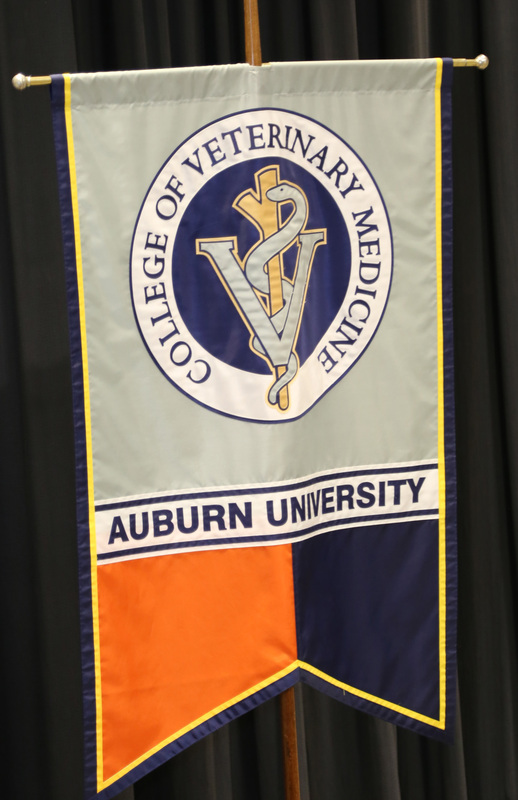 And like many Kentucky students looking to become veterinarians, it was just as natural for her to want to attend Auburn University’s College of Veterinary Medicine (AU Vet Med). “I definitely want to go to Auburn because I think it is the best place to get my degree and I can get in-state tuition if accepted. That could make the difference for me as to whether I go to vet school or not,” she said. Newsome is an example of the many high school students across the state who are preparing early in order to have a chance of getting into such a program as the one at Auburn. The partnership brings approximately 38 students from the Commonwealth to Auburn at the in-state tuition rate, something that makes the difference for many of these students in being able to afford this kind of specialized education. Because of this agreement, a full one-third of AU Vet Med students are Kentucky residents, many of whom return to the state to practice. Grady Cofield from Cadiz, Kentucky is in his fourth year at Auburn. His parents are both veterinarians at their family practice in Trigg County, as well as Auburn graduates. While this helped solidify his desire to carry on a family tradition, it was the in-state tuition and getting a head start in high school that helped him get to AU Vet Med. Cofield added that because so many of the Kentucky students at Auburn end up returning to the state for their careers, this investment is also one of economic development value. “We’re down here for a purpose, but then we want to come back home and start serving our communities,” he said. Approximately one-third of the AU Vet Med students are from Kentucky. AU Vet Med Associate Dean for Academic Affairs, Dr. Dan Givens said Kentucky students are a critical part of the fabric of the college and he speaks from experience being a native of the Bluegrass State and attending AU Vet Med by way of the Auburn-Kentucky partnership. 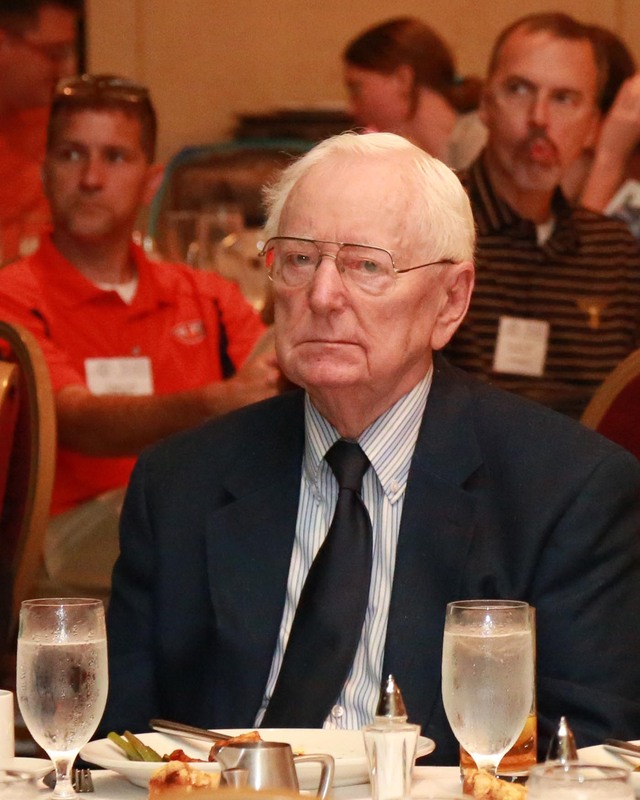 During the recent Kentucky Veterinarian Medicine Association’s Mid-America Conference, officials from AU Vet Med hosted a luncheon and announced a new endowment that will go even further in helping students attend the prestigious vet school. Dr. Steele Mattingly is an AU Vet Med graduate who was a member of the first class to attend under the SREB agreement. Full scholarships will be awarded to residents of Alabama or students enrolled from partner states, such as Kentucky, under the Southern Region Education Board (SREB) contract. Dr. Calvin Johnson, AU Vet Med Dean said as the SREB partnership moves forward, it’s a matter of being advocates for the financial support from Alabama and Kentucky to be able to expand and maintain this relationship.